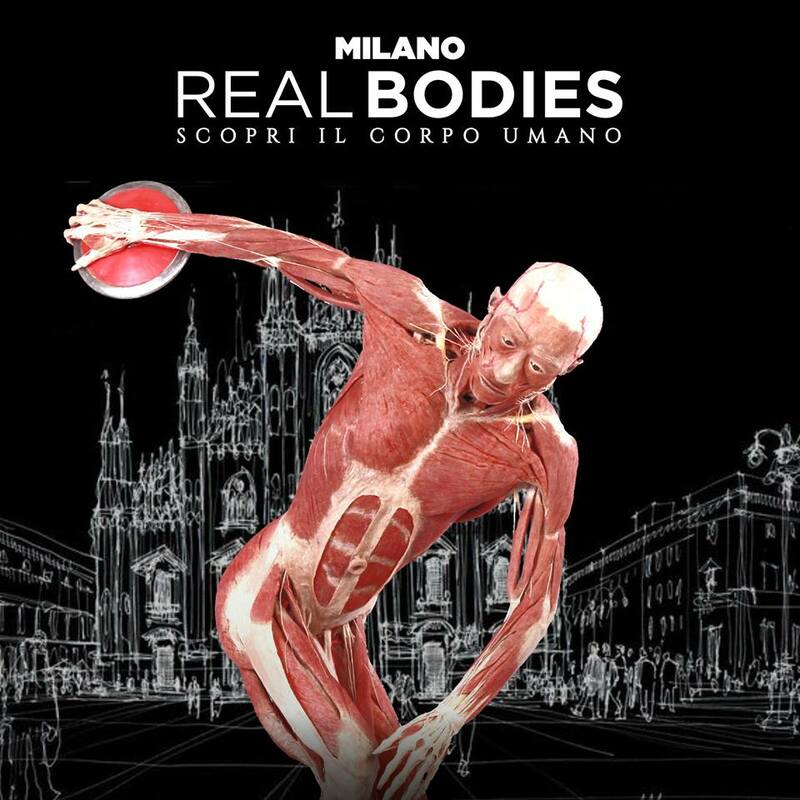 Home » CryoRus in the exhibition “Real Bodies"
CryoRus in the exhibition “Real Bodies"
We would like to inform you that a wonderful exhibition “Real Bodies: oltre il corpo umano” (Real bodies: outside the human body) will be running in Italy, in the city of Milan, starting October 6. This exhibition is remarkable at least for the fact that it depicts drawings of Leonardo da Vinci, the ancestor of all anatomical atlases and pathological anatomy, via plasticized bodies of actual dead people. But this is not the only remarkable thing. From our point of view, the most interesting thing in it is the “Immortality” hall, which displays the equipment of KrioRus company, showing and explaining the process of cryonics. The whole room is dedicated solely to cryonics. It should be noted that the initiative came entirely from the exhibition organizer Mauro Rigoni, who has repeatedly held similar (but without cryonics) exhibitions in Italy. Having made marketing research, the organizers found out that all of Italy wanted to see how cryonics worked. And they decided that it would be very logical to finish the exposition with the “Immortality” hall. They contacted us in August, when less than two months was left before the exhibition opening. It seemed very interesting to us, and we agreed. I must say that our wonderful friend, the Italian transhumanist and famous lawyer Stefano Sutti, highly appreciated this initiative. We spent quite a lot of effort and a certain amount of funds for the preparation and shipment of the equipment. And, as it seems to us, the information component successfully fit to the size of the hall. It presents our first Russian full-body cryostat KA - 2, a model of a perfusion unit, the most interesting books on cryonics, a large poster that explains the concept of cryonics. On October 4, a press conference was held for media representatives who were very interested in cryonics. We have even already been contacted by some journalists who wish to receive additional information. We have been cooperating with the Italian cryonicists for almost three years, and, first of all, with the Polistena Humanpreservation company, which was organized by Mr. Filippo Polisten. He is the representative of the funeral business in the fourth generation. This is a very famous funeral company in Italy, which has existed since 1860. It's more than 150 years. But, as we predicted a long time ago, over time, the funeral business representatives will prefer to cryopreserve people, rather than bury them. And Polistena is one of the first representatives in Italy who is trying to organize cryonics in this country. A small community of lawyers, volunteers and doctors works together with him. Including a wonderful woman from Ukraine, who has been living in Italy for twenty years, Tatyana Kuzma. She is a translator, helps us communicate and overcome the language barrier. And thank her so much for that. Without her help as a link, it is unlikely that our participation in the exhibition would have been possible at all. The Real Bodies exhibition held last year also consisted of plasticized bodies of people, but it was devoted to a slightly different topic, not the anniversary of the 500th anniversary of Leonardo da Vinci's death, not his research in anatomy. That exhibition was visited by about 300,000 people. Given the great interest in cryonics, the organizers expect an even greater influx of people this year. This is a large educational exhibition, which will actually last seven months, and it will be visited by schoolchildren, students, doctors, and also tourists. The exhibition takes place in Milan. It is the second largest city in Italy, and it its industrial capital. A well-known Milan lawyer, Professor of Law at the University of Milan Stefano Sutti, who spoke about the legal aspects of cryonics, and our representative Filippo Polisten, who addressed the media on behalf of his company and on behalf of KrioRus, attended the press conference on October 4. We placed a poster at the exhibition that invites people to contact us for more information and to subscribe to our newsletter. In general, we expect that this event will seriously promote the popularity of cryonics in Italy and the nearby Switzerland, which partly speaks Italian as well. This will have a very positive effect on the development of cryonics in Europe in general, as well as on the development of our company, in particular. If you're going to Milan before spring 2019, you can order a discount ticket with us, which is promised for our friends by the exhibition organizers. PS: A new message about the latest achievements of KrioRus in cryopreservation will be released soon.